Whether you feel fearful or guilty, betrayed or confused, the prospect of divorce can be overwhelming. Leigh Noffsinger is an attorney who’s passionate about supporting families in transition, gently steering them back to the high road and out of the weeds. She works with progressive-minded clients to reach fair outcomes, for stable happy homes after marriages end. With her support, clients can emerge from divorce with renewed clarity on what matters most to them, and a sense of pride in having handled a life challenge with more grace than expected. “Leigh made one of the most heart-breaking, gut-wrenching and horrible experiences of my life tolerable. Her straightforward approach helped me hold it together.” — K.B. A well-established conflict resolution process now codified in Washington statutes, collaborative law uses a team approach of specially trained professionals (lawyers, financial analysts, and mental health counselors) to provide holistic support to families in transition. A meetings-based approach helps spouses identify their goals and interests, and explore settlement options to meet both of their needs. A collaborative law process provides a highly structured method for spouses working their way through difficult conflicts around parenting, division of assets, alimony, and child support. Because resolving disputes without litigation requires cooperation from both spouses, on a rare occasion a judge's decision provides the only way forward. When necessary, Leigh can represent clients in court with a respectful and reasonable approach. Leigh counsels clients to view court as a last resort because of the extreme financial and emotional costs that too often result. But, when litigation becomes necessary, Leigh's varied litigation experience makes her well-equipped to provide strong advocacy in court. Sometimes divorcing spouses have extremely limited resources for legal representation, or they have reached easy agreement on a simple division of assets. In cases where minimal lawyer involvement is needed or wanted, Leigh can provide do-it-yourself packets and narrowly tailored services. 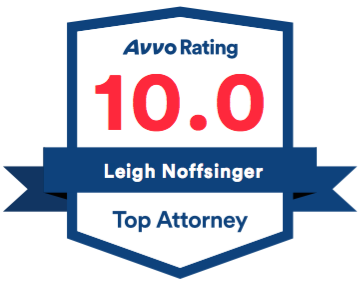 Consistent with her belief that clients should have access to as much or as little legal advice as they desire, Leigh will meet to answer legal questions, coach clients behind the scenes, draft documents, or review agreements reached in mediation -- all for a reasonable cost.